Having missing teeth can often cause you to feel hopeless, but you can have an amazing smile with the All-on-4® solution! Every day, this dental implant procedure is helping people to replace their missing teeth. While you may know how traditional dental implants work, the term All-on-4 may leave you confused. 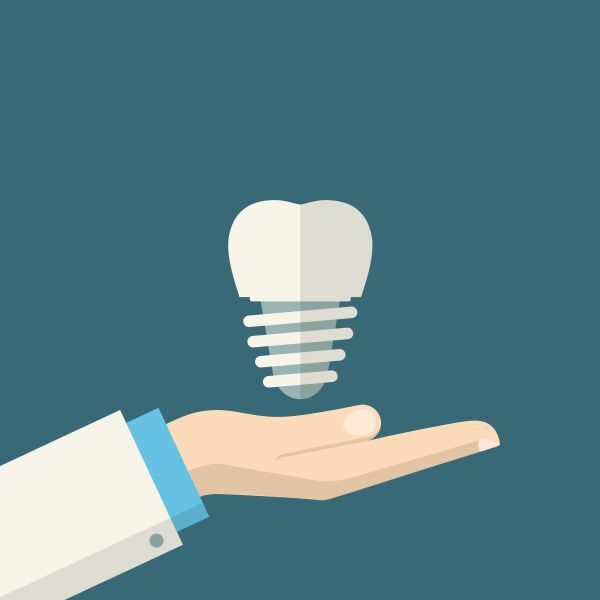 Let us explain this type of dental implant in further detail so you can see if this tooth replacement method can benefit you. Before understanding how the All-on-4 method works, it can be helpful to know what it is. This method of dental implants is getting more attention because it only requires a total of four dental implants to restore an entire section of teeth. If you are missing your upper and lower teeth, you can have the procedure done to provide you with a completely new smile. Instead of needing 32 individual implants, you only need eight to replace the top and bottom sets of teeth. 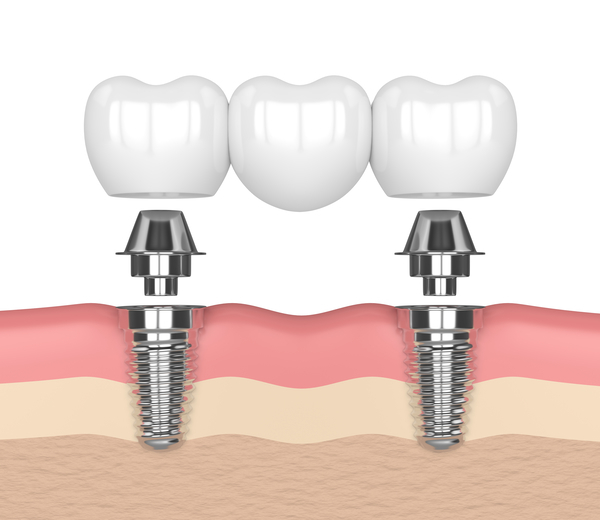 Dental implants are small screw-like surgical components. They are made of titanium and are placed inside the jawbone. Through the process of osteointegration, the implants will fuse with the bone to act as a natural tooth root. From here, a dentist can attach a crown to replace a single tooth. 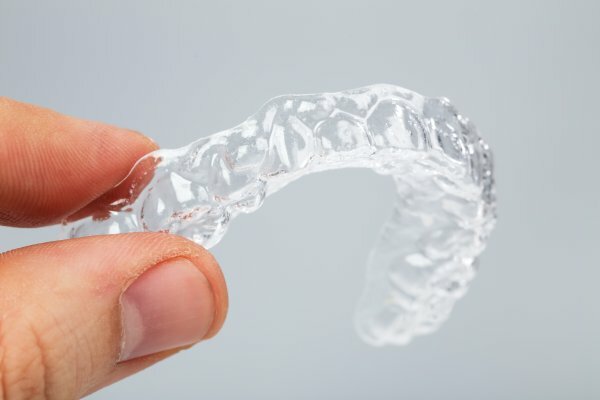 For the All-on-4 method, the dentist will attach a special device to four of these implants to replace an entire set of teeth. Since your dentist will be operating in your mouth, it helps to be sedated. Your dentist may use general or local anesthesia to keep you from feeling the procedure. They will need to remove any remaining teeth before installing the implants, as well as any tissue that could be decaying or dead. The All-on-4 method works by evenly placing a total of 4 implants on either the top or the bottom of the mouth. As mentioned earlier, these implants will need to fuse with the jawbone. This process can take a few months. While your new implants and jaw heal, your dentist will provide you with prosthetic teeth. These may be awkward at first, but you will get used to them. The teeth will help you chew and talk while you heal. Lastly, once the All-on-4 implants have healed appropriately, the temporary prosthetic teeth will be removed and permanent ones will be placed. The dentist will mount these new teeth to the implants. You will instantly notice the improvement in your smile. You can go back to doing all your favorite activities once the dentist finishes this step. You need to speak with a dentist to see if you qualify for the All-on-4 method. They can provide further detailed information about how this procedure works and alleviate any concerns you have. Find out more by reaching out to our office today. You can schedule a consultation with us to see how we can help replace your lost or damaged teeth. Request an appointment here: https://smilesnashville.com or call New Image Dentistry at (615) 526-2493 for an appointment in our Franklin office. Check out what others are saying about our All-on-4 Dental Implants services on Yelp: All-on-4 Dental Implants.